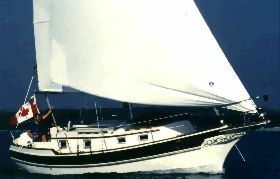 Colin Archer type yacht built in Denmark in 1978, designed for a round the world voyage and built accordingly with a very strong hull. Bermudan cutter rig making her easy to handle. 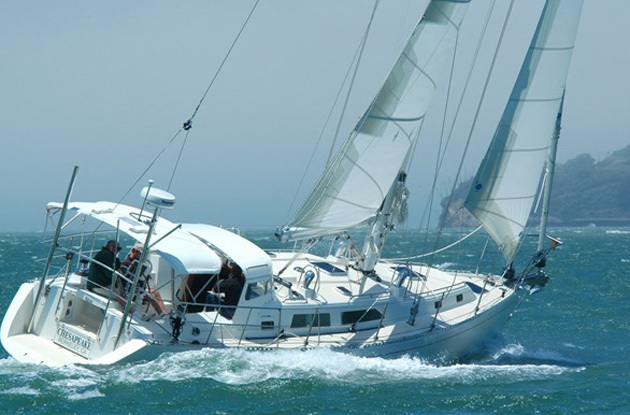 Professionally maintained to a high standard, sailed every season around Scandinavia, a very solid and safe cruising boat with 4 berths plus a pipe cot, plenty of headroom and lots of deck space. Designed by Arne Hedlund who took his inspiration from the great Colin Archer. Colin Archer is best known for his sailing life-boats or Redningskoites which gained a reputation for exceptional sea-worthiness in the wicked waters of the Norwegian Arctic seas. 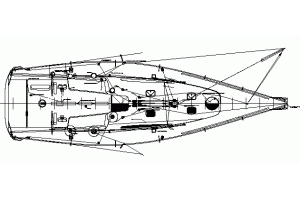 The Colin Archer signature features are the canoe stern and quite exaggerated beam with a hard turn to the full bilge to give the hull buoyancy and a fine run. As well as his working boats, Colin Archer designed a number of yachts which are remarkably fast under sail. This yacht was built by the Sakskobing Boatyard, Denmark in 1978 for Per Moller who commissioned her to sail around the world although he never quite achieved his goal. 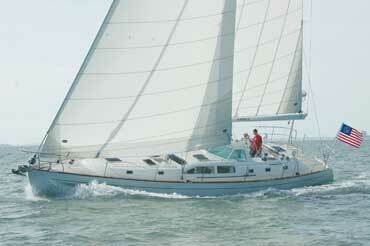 The last 2 owners have sailed her extensively every season around Scandinavia and she has been very well maintained. Originally built with a gaff rig, the bermudan main was fitted for cruising with a crew of two making her very easy to sail. The out of water photos show the yacht’s exceptionally fine lines which give her excellent performance even in light airs and a sense of security in the roughest conditions. 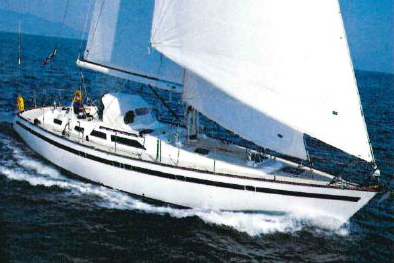 Perfectly balanced and easy to handle, her extraordinary construction makes her capable of meeting any sea conditions. 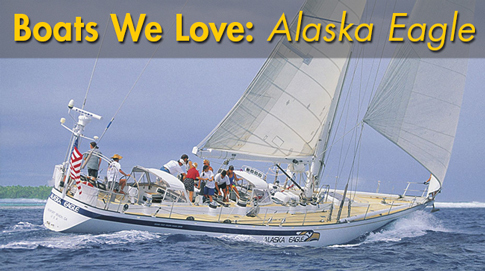 The strength and quality of construction of this yacht cannot be over-exaggerated. Length on deck 32’ + bowsprit. Ballast 3 ton external long iron keel. Planked in 1.5" larch fastened with galvanised rivets and roves similar to the working boats to large laminated oak frames with a steam bent intermediate timber. Straight laid 2" Iroko deck, caulked and payed on laminated oak deck beams. Stainless steel hanging knees and lodging knees. 9" bulwark all round with a varnished capping rail, dipping bow and stern in the usual Colin Archer way. Coachroof aft of the mast with varnished Iroko coamings. Coachroof deck is T&G Iroko planking sheathed externally in epoxy glass cloth. Deep self draining cockpit with tiller steering. Bermudan cutter rig on a keel stepped varnished pole mast with single spreaders and a varnished wooden slab reefing boom. Stainless steel standing rigging, new in 1998, to external galvanised chain plates. Twin lower shoruds and single cap shrouds. Single standing backstay with running backstays on tackles. Inner forestay to the stem head. Outer forestay to the end of the bowsprit carries the jib on a Topp-Reff roller furling system. 2 pairs of Barlow Tuffnel winches on the cockpit coamings for headsail sheets. Single reefing winch on the boom and pair of Lewmar halyard winches on the mast. Sails in good condition, main staysail and jib from 2006. Downwind and storm sails older but in good condition. Volvo Penta 22L 48hp 4cyl marine diesel installed new in 1996. Serviced annually, alternator replaced 2016. Single lever controls to centreline fixed 3 blade bronze propeller gives max speed of 8 knots. 300 litres of water in 3 stainless steel tanks under the saloon cabin sole. Simple but comfortable accommodation with 4 berths plus a large pipe cot and 6'5" headroom in the saloon. Steps down over the engine box with a decent quarter berth either side under the deck head. Galley to starboard extending the full length of the saloon with a varnished work top, stainless sink with manually pumped fresh and salt water taps. Optimus 2 burner paraffin cooker on gimbals. Ample stowage around the galley. Chart area to port with instruments on the bulkhead. Dinette seating arrangement on the port side forward of the chart area gives a saloon table and seating. Solid fuel cast iron cabin heating stove on the port side forward. Starboard offset door into the forward cabin with a large single berth either side under the deck.